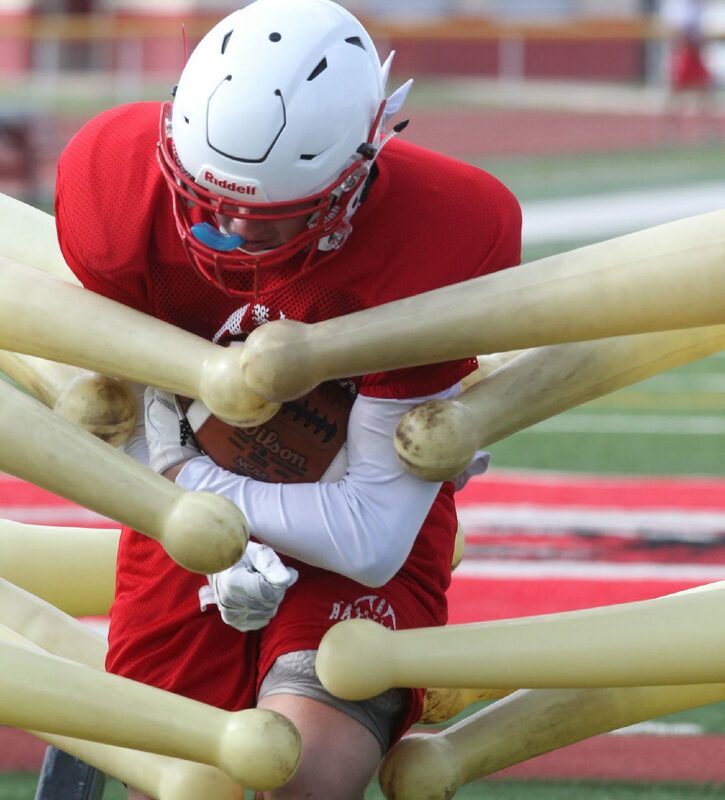 Sharyland varsity football player run drills durng football practice at Sharyland High school on Thursday, August 15, 2018, in Mission. 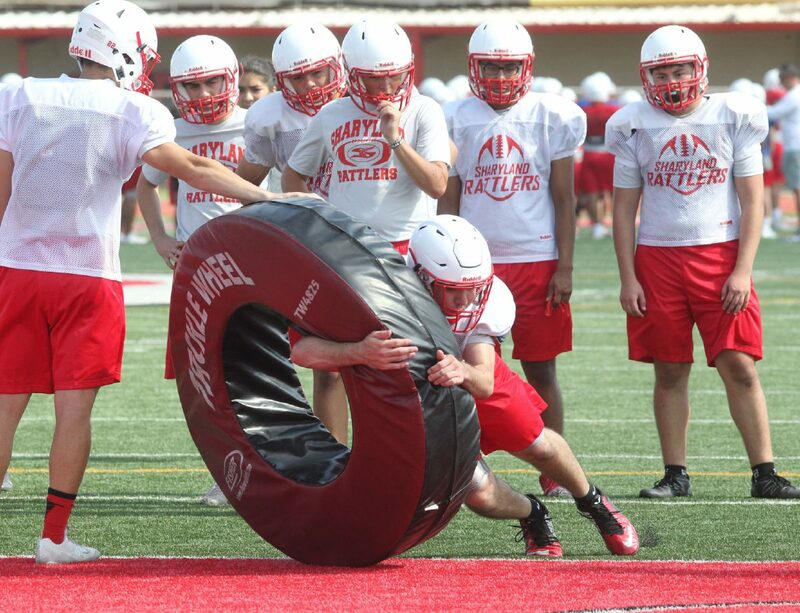 Many of the Sharyland High players remember the pain of their second round loss to Alice last season. MISSION — Nine months later, it is still a marvel that Sharyland High nursed a three-point lead in the third overtime of an area round game at Alice on the day after Thanksgiving. The Rattlers offense sputtered early, and the Coyotes jumped out to a 13-0 lead. The Rattlers rallied to tie the game, but Sharyland quarterback Edgar Longoria missed the fourth quarter and the rest of the game after suffering a hyperextended hamstring. Alice answered Sharyland’s field goal in the overtime period with a rushing touchdown from quarterback Trey Jaramillo, and the Rattlers’ hopes for a trip north to San Antonio were thwarted, 42-39. The kids haven’t forgotten the score. 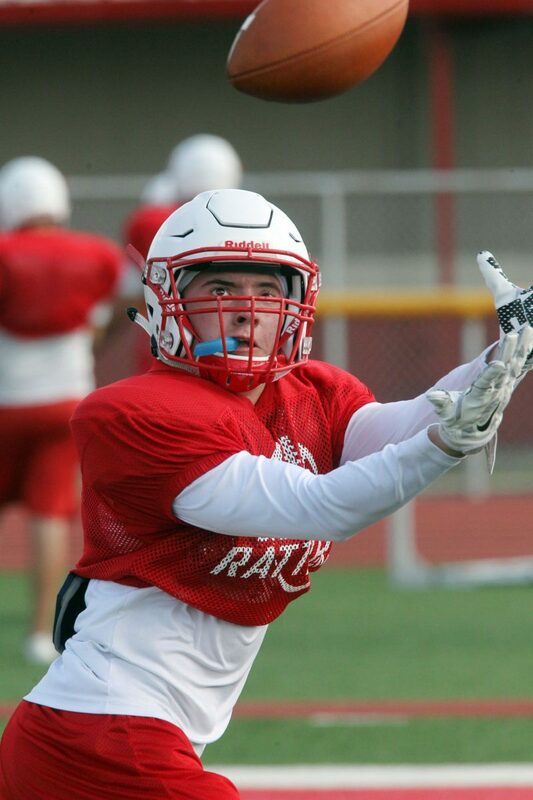 Sharyland High running back Danny Escalera during football practice at Sharyland High school on Thursday, August 15, 2018, in Mission. 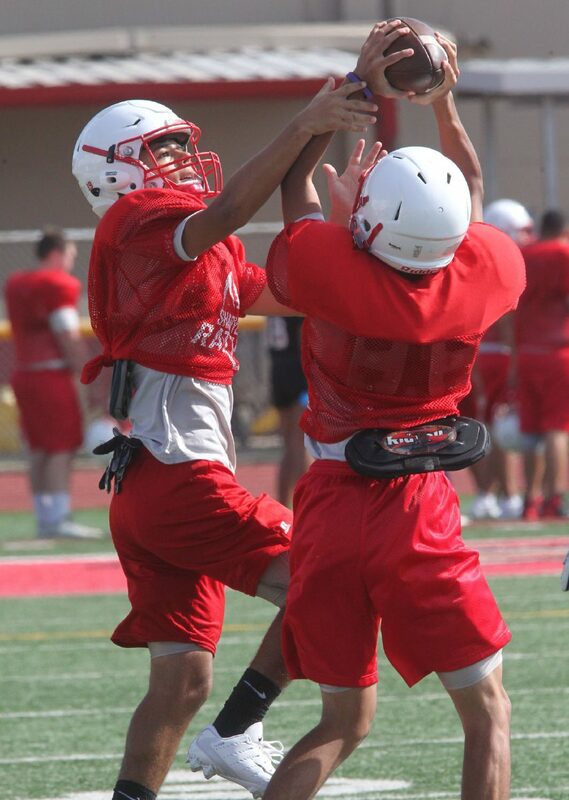 Sharyland varsity football practice at Richard Thompson Football Stadium on Thursday, August 15, 2018, in Mission. The 2018 Rattlers return their starting quarterback, starting running back, two of their top wide receivers, most of their offensive line and all-district performers on their defense in a less congested, seven-team district in which they are no doubt the heavy favorite to repeat as district champions.